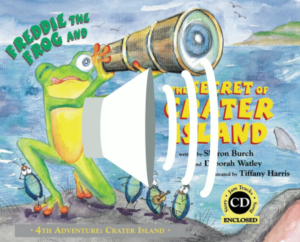 In this beautiful hardcover picture book with interactive flaps, Freddie awakens from hibernation to discover he is not on his beloved Treble Clef Island. 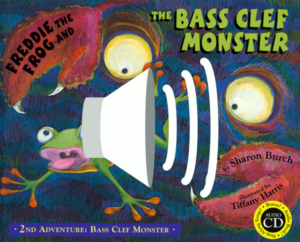 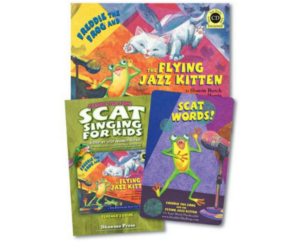 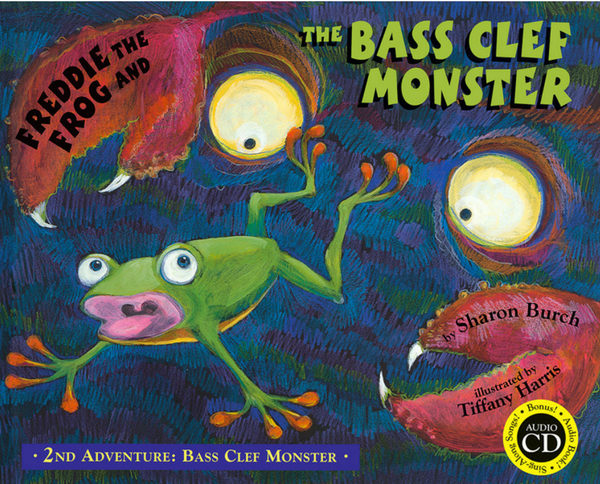 Freddie’s search for home leads him through Frog Land – a strange place full of bizarre creatures all pointing him to the Bass Clef Monster who “loves frogs.” Discover the dancing bees, a moonlit cocoon garden, the fire-breathing dragon, and dare to meet the Bass Clef Monster. 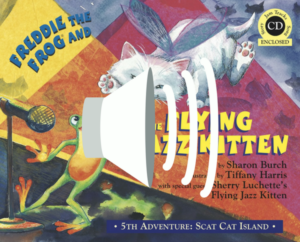 As in the first book/CD, the lines and spaces represent a map of this eerie adventure and the sound effects and music bring it to life. 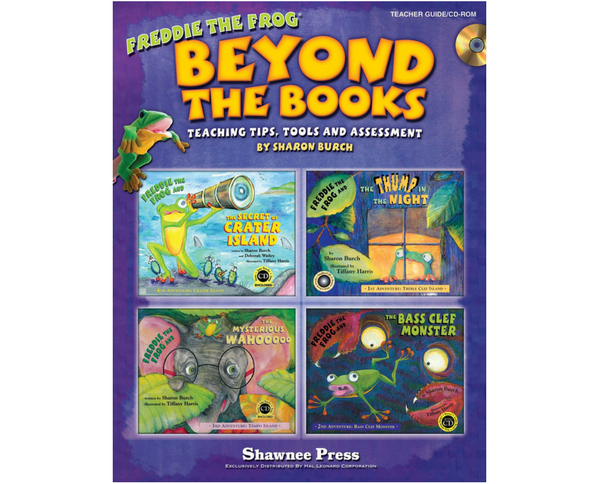 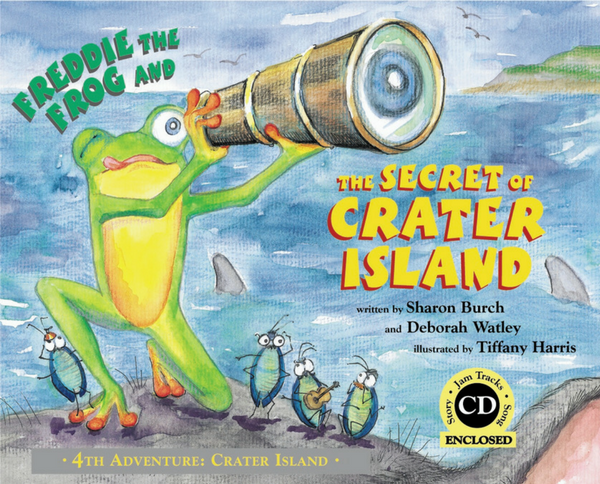 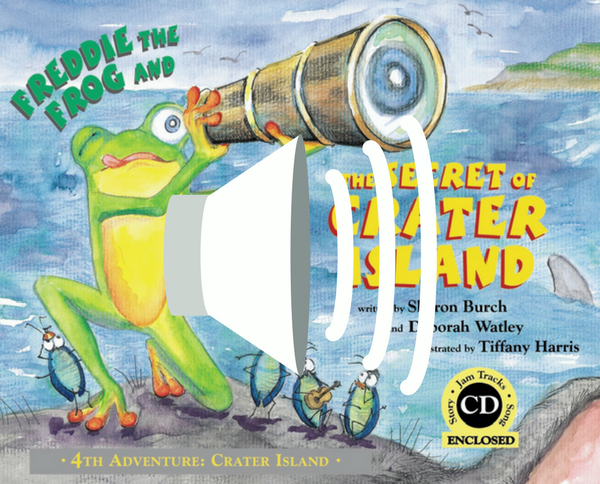 This is the second adventure in the Freddie the Frog Books series. 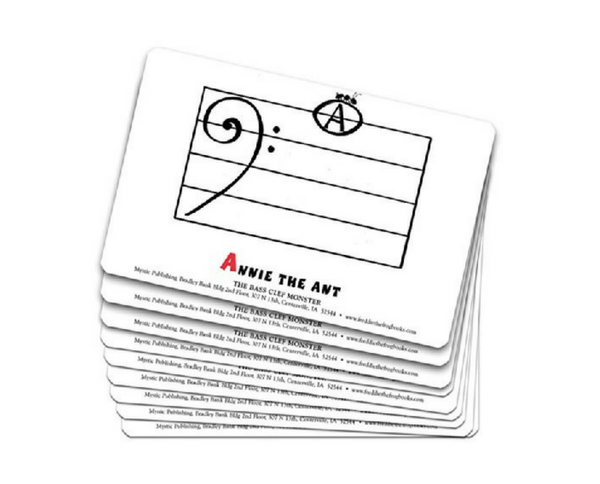 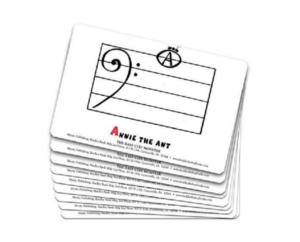 The first adventure story, Freddie the Frog and the Thump in the Night, introduces the reader to the treble clef. The audio includes an entertaining read-along version of the story along with sing-along songs.